This has been the World Cup of the underdog, where anything can happen. This Sunday, France take on Croatia in Moscow – is there one more upset on the cards? 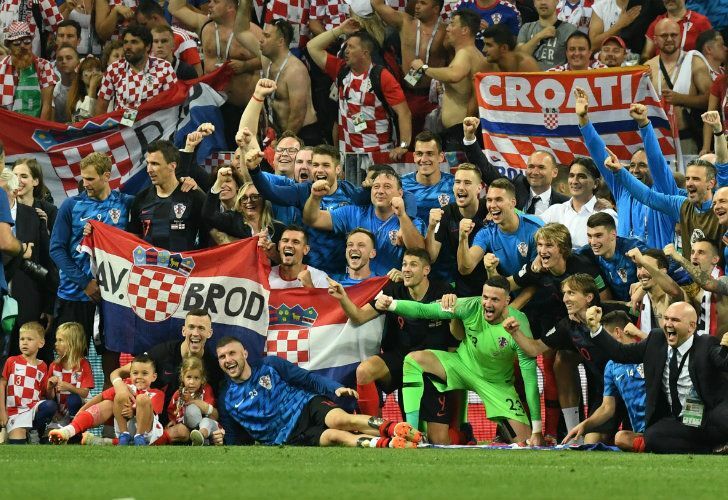 Croatia, an underdog and surprise that with talent was able to reach the final game. 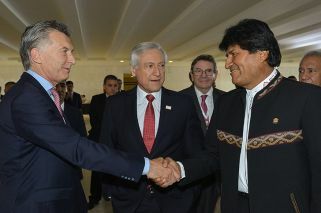 Foto:Cedoc. It’s not coming home, and Lionel Messi did not bring the cup back. Thirty teams have now fallen by the wayside in the 2018 World Cup, leaving just France and Croatia to dispute Sunday’s showpiece final: a surprise line-up by all accounts that is a fair reflection of a gripping tournament that has defied the formbook and most people’s expectations right from the very start. One of the most noticeable aspects about this World Cup is that it has been from the latter stages onwards an almost exclusively European affair. While four of South America’s five entrants made it past the group phase – Peru being the sole, admittedly unfortunate exception as Ricardo Gareca’s men failed to marry an exciting attacking philosophy with the necessary cool heads in front of goal – not one of those sides managed to muscle into the semi-finals. Argentina and Colombia both fell to European opposition in the last 16, while Uruguay and Brazil suffered an identical fate in the quarters to leave France, Belgium, Croatia and England as the last teams standing in Russia. Brazil appeared the team most likely to break the longstanding hoo-doo and take the trophy on European soil after a positive start to the competition, but the Seleção remains the last, indeed only South American nation to triumph across the Atlantic Ocean with that Peléinspired victory all the way back in 1958. Nevertheless – and despite fierce global criticisms over the theatrics of superstar Neymar, who never quite managed to leave a positive mark on the World Cup after returning from a foot injury literally hours before the main event kicked off – Tite’s men received a glowing welcome on returning to home soil that would have left Jorge Sampaoli green with envy. The continent’s mediocre campaign, however, cannot be explained solely by their historic struggles when the World Cup goes to Europe. Not since Brazil in 2002 has the trophy landed in the western hemisphere, while in those 16 years Italy, Spain, Germany and now France or Croatia have ensured a near-monopoly. It used to be easy enough to define this classic rivalry: Europe’s top contenders were well-drilled, organised and extremely tough to overcome, while the likes of Argentina and Brazil had the technical flair and individual talent to occasionally break that barrier and take home the glory. Those broad personifications, though, are now wholly out of date. While Argentina lined up with old warhorse Javier Mascherano as the symbol of grit over ability, France boasted the wonderful skills of Paul Pogba in the middle of the pitch alongside the subtle, ubiquitous N’Golo Kanté. Even Croatia, the darkest of horses in an agonising trip to the final, can field arguably the best midfield duo in the world in the shape of Luka Modric and Ivan Rakitic, two exquisite ball-players who are the match of anything Brazil’s joga bonito could muster in Russia. Perhaps that dichotomy is just too simplistic. If nothing else this World Cup has been the bane of those commentators who have looked for an overall narrative to events, only to see their conclusions shattered at the first hurdle. Argentina’s woes supposedly proved that the way forward in international football had to be the construction of a coherent, longterm project, before Germany’s shock elimination demonstrated that their own project had been left to run for too long. Not to mention Croatia, who took the novel step of sacking their coach two days before a decisive qualifier less than a year ago and now have the chance to take the title against all odds. Spain and Germany were supposed to go all the way as the pre-tournament favourites while hosts Russia were tipped to crash and burn; only for the inspired home team to out-perform both those behemoths in a surprise run to the quarter-finals that made the likes of Denis Cheryshev, Mario Fernandes and Artem Dzyuba national heroes. The form-book was not so much ignored in Russia as torn up and incinerated. Another sea change had apparently been heralded at the end of the last-16, at least in terms of how football is even played. The game’s most learned sages declared for all to hear that the days of the team with most possession inevitably triumphing were over, as the likes of Germany, Spain and, yes, Argentina were all condemned to early exits in spite of controlling more than 60 per cent of the ball in their outings. The Pep Guardiola philosophy, it was said, of maintaining an iron grip on play and the ball on the floor in order to win games was now obsolete; it was no longer sufficient to pass one’s way to glory. It is fair to say that the 2018 World Cup brought new constraints on those struggling teams named above. The punishing international football calendar meant there was precious little time to prepare ahead of the tournament, a phenomenon that logically hurts sides that prefer to break down the opposition with neat passing triangles and through sheer possession than the more reactive contenders. This tournament, in hand with the new Video Assistant Referee (VAR) technology, also saw a huge spike in the number of penalty kicks awarded, most notably for infractions committed during free-kicks or corners. That meant the likes of France and England, among the best set-piece executors in the competition, received a double prize for that proficiency: if a goal failed to arise from the dead-ball situation itself, chances were that a stray shirt pull or other physical contact would lead to a spot-kick. So far, so conclusive. But while France were able to make Samuel Umtiti’s header and what little possession they enjoyed count in the semi-final to power past Belgium and make the decider, in the other lastfour clash a different story was unravelling. Gareth Southgate’s England forged a reputation over the last month as one of the best teams playing without the ball in the competition, but it was ultimately the Three Lions’ lack of invention when obliged to force the game away from the dead ball that caused their painful elimination. Croatia’s midfield axis of Modric and Rakitic was allowed to dictate the tempo after an early setback and eventually made their technical superiority show over 120 gruelling minutes of football, taking the win and proving that there is still at least some merit in controlling the ball and looking to break down a tough defensive unit. It may, then, be a little too early to consign Pep’s mantras to the waste-paper basket of football history. The Balkans side once more start as outsiders in Sunday’s final, against a France side that have not hit the thrilling heights one might expect with the likes of Pogba, Antoine Griezmann and Kylian Mbappé on the field. But Les Bleus have shown a startling efficiency from start to finish in Russia and will look to do the same in Moscow: defend deep, let Croatia’s stars come at them with the ball and then hit hard on the counter to exploit the tired legs of a team that – with no less than three extra time periods weighing on them – have played the equivalent of one entire match more than their rivals. If there is one thing that can be counted on, however, it is that the outfit coached by Zlatko Dalic will not shy away from the fight. It is that marriage of indomitable spirit and wonderful ability that has led Croatia on this exhilarating adventure, dispatching the likes of the Albiceleste, hosts Russia and England along the way. And that is exactly why, even with fatigue set to inevitably weigh heavy, they cannot be discounted for a moment. This, after all, has been the World Cup of the underdog, the tournament where anything can happen. The tournament where holders Germany were played off the park by Mexico, where Spain were suffocated, frustrated and dumped out by the unfancied Russians and where Tite’s Brazil saw Thibaut Courtois do superhuman things in the Belgium net to end their own dreams. It may seem unlikely right now, but one more upset would be entirely in keeping with one of the most unpredictable, exciting World Cups in recent memory.